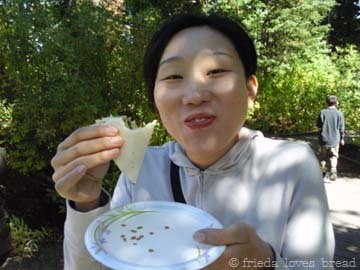 Frieda Loves Bread: Salad Tortilla Cones! 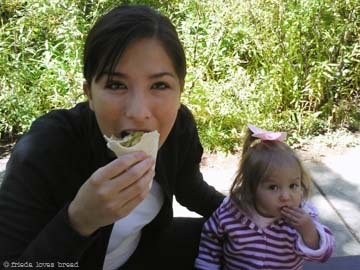 Here's my cute friend with her daughter, enjoying a salad cone filled with my Asian Chicken Salad. Yes, you heard me. A salad cone! I first saw these cones on a river rafting trip in Moab ~ no plates needed. Just your fingers and a hungry tummy! 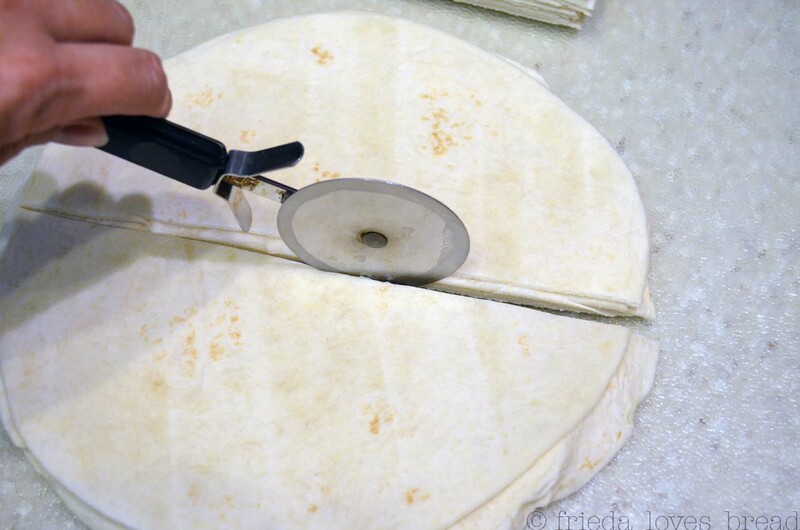 Start with burrito or extra large sized tortillas (10" or larger) and cut them in half with a pizza cutter or bread knife. Holding the cut side down, kinda loosely fold/roll the tortilla in thirds. Your "cone" is ready to be filled with anything you want! I found this cone holds just as much filling or more than a whole tortilla would; and it is much easier to fill and eat. Our cute Japanese teacher enjoying her salad cone! What a great idea. I can think of 101 things to put in that cone. Come over and visit. We have a great stuffed pork chop. What a great idea! Thanks for sharing it with us Frieda! p.s. 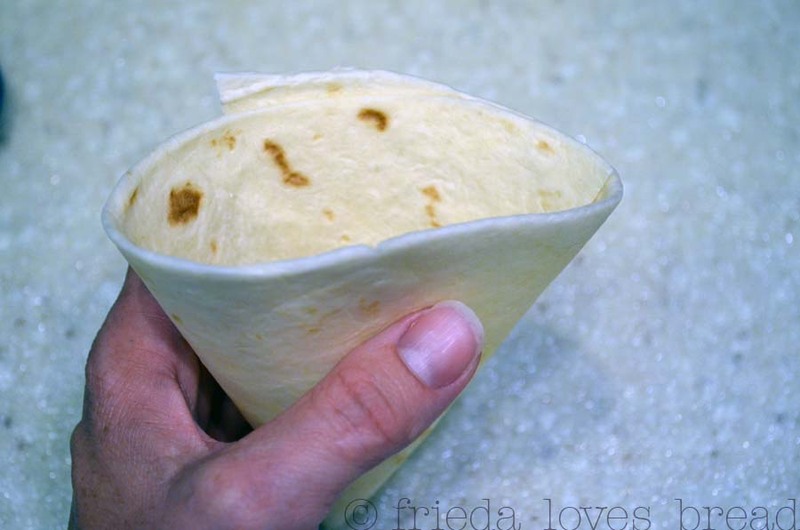 This would be a great idea for a cookbook...."101 Fillings To Eat in a Tortilla Cone! Great idea, Frieda! Thinking about making these for dinner one night. The kids would love it! What a great idea. I love that you can actually see the filling and know what you are eating! Love it you have a god gifted talent!